The weather is getting hot (finally) and school’s breaking up (hopefully). Summer is coming and it is the perfect time for riding some gnarly waves, delicious BBQs, staying fresh, swimming in ink, and, most importantly, battling in turf wars! Splatoon was released exclusively for the Wii U only a few weeks ago, and I was able to spend some time with it, being both a squid and a kid. 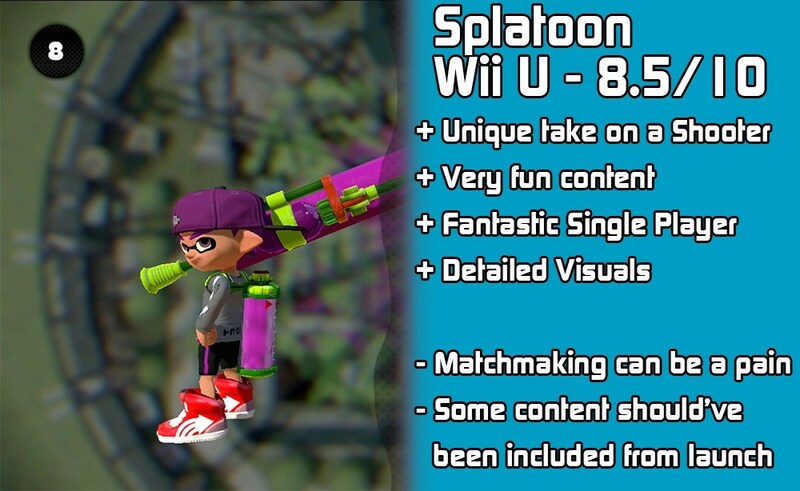 Find out whether Splatoon is as fresh as the Krak-on Splat Roller or unfresh like the Octolings… after the break! 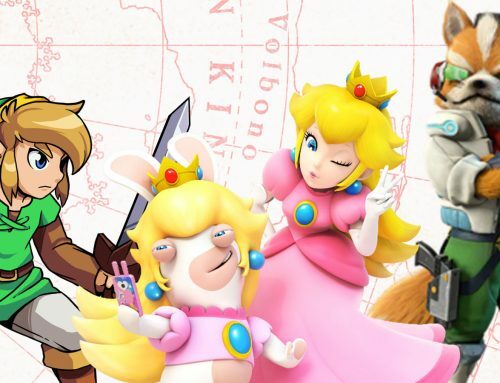 Unless you have been living under a giant sea shell over the past month, you should know what Splatoon is about, but just in case you don’t, let us quickly fill you in. 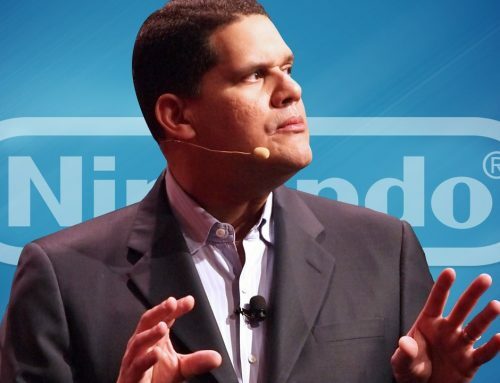 Splatoon is Nintendo’s entry into the shooter genre. Knowing Nintendo, they always like to make their own twist on different genres, and Splatoon is no different. 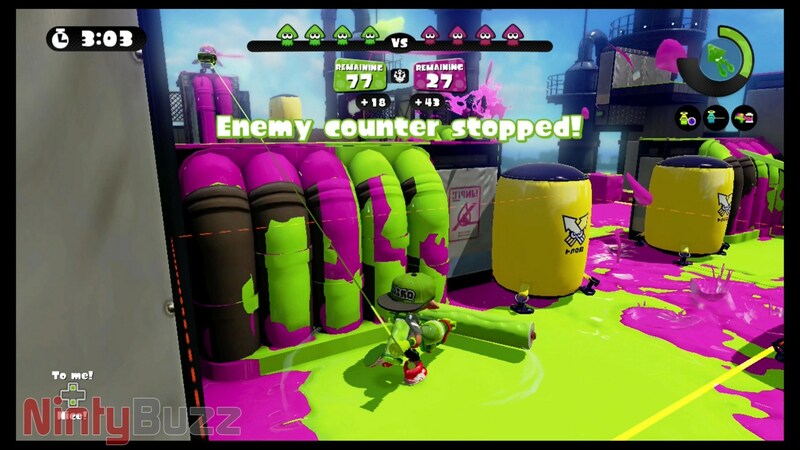 Rather than the main aim of the game having to terminate players of the opposing team, your objective on Splatoon is to try and cover as much ground as possible with your own ink in a 4 vs. 4 turf war. If you are getting particularly good, you can also unlock Ranked Battles, which host a different set of rules, such as a capture the flag-esque mode. If you have a buddy (or rival) over for tea, then you can also try out the Battle Dojo, where you will go head to head to pop the most balloons. Are you a bit of a lonely loner? Never fear, you can raid Octo Valley in Splatoon’s Story Mode, to try and capture back the Zapfish the devious Octarians have nabbed for themselves. If you are a bit of a collector, then you could try out some special Amiibo Challenges to test your mettle to win some super fresh gear. All caught up? Good, let us begin the review! 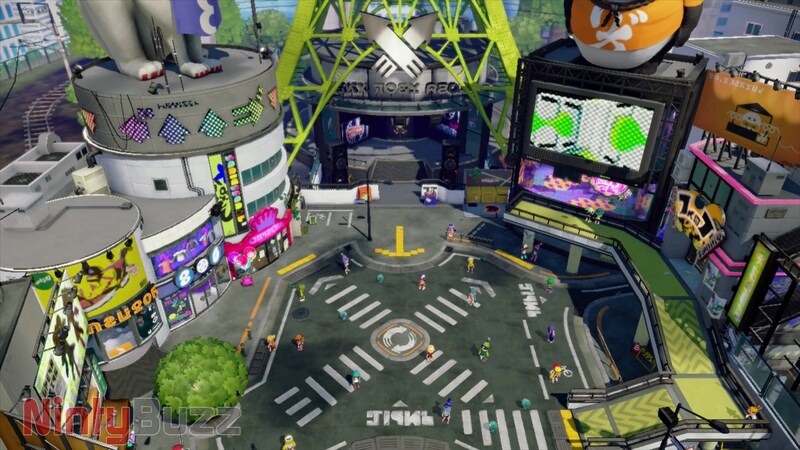 The main mode you will most likely be playing is Turf War which is a 4 vs. 4 battle. 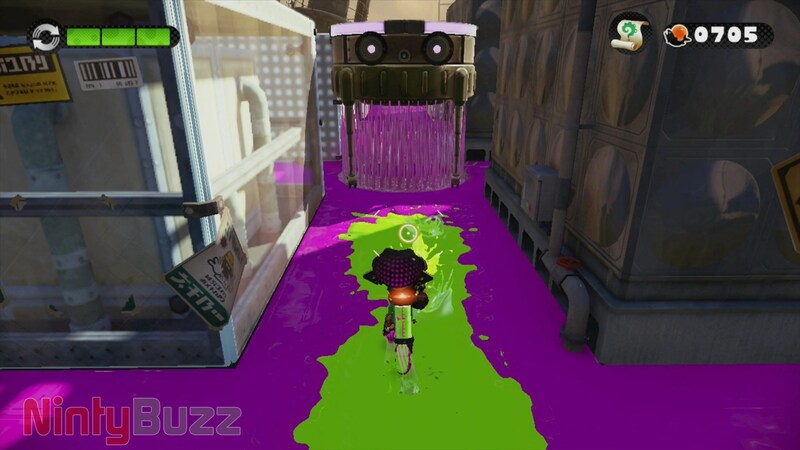 Like I said earlier, Splatoon is a very unique shooter in which you do not need to terminate the other players but rather cover as much ground as possible in your own coloured ink. You’ll start off in your designated base and team and then you have three minutes to have at it to colour the town red, or pink, or teal, or whatever other colour you are assigned to in that match. To make things more interesting, you can transform into squid form which will allow you to transverse stealthily, submerged in your own ink. If you end up walking on your opponents ink, you will start to move very slowly, making you and easy target to splat. 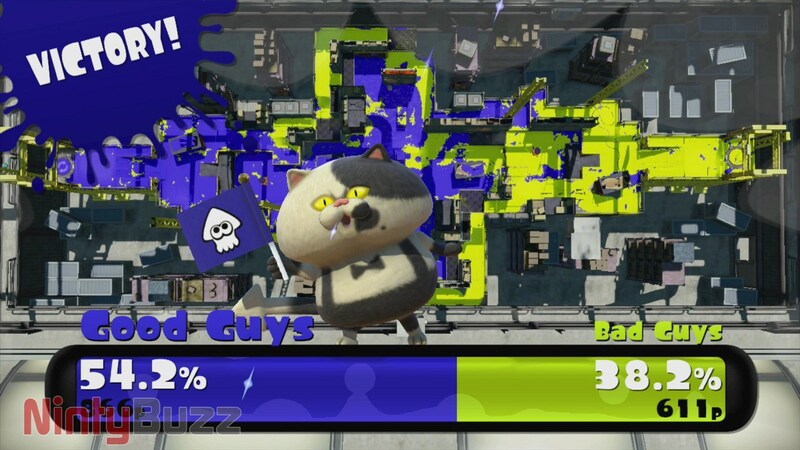 After the three minutes are up, Judd, a big-ish cat with impeccable ink calculation and judging skills, will calculate how much ground has been inked and announce the winner. 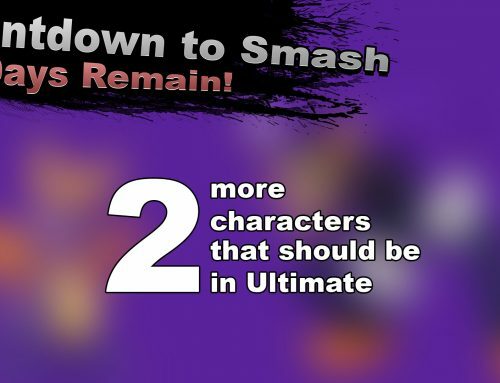 If you choose to have a rematch, all players who are in the same room will be shuffled around, so a strong ally could easily become a powerful opponent. The teams aren’t the only thing which change from match to match, the colour of the two inks being used will also change for visual stimulation. If you suffer from colour blindness, don’t worry as Nintendo has got your back. You can easily enable Colour Lock to lock the ink colours to Blue and Orange to avoid any confusion. This is definitely a fresh take on the shooter genre as it completely turns the strategy on its head as you have to really think about how to get the best coverage on each of the different courses and whether to play offence or defence. 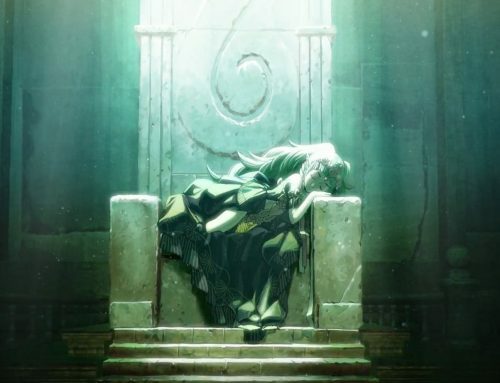 Splatoon also proves that a shooter doesn’t generally have to include mature violence or be dark, though some of the sunken scrolls in Hero Mode do reveal a secret darkness of the title. Though the online is generally brilliant, there are still a few niggles, most of which take place in the Lobby. First of all, when you do enter a new game, sometimes you may spend a while waiting for the game to start, don’t get me wrong, most times you get into a match quickly, but as all games must have 8 players in the room, if you are unlucky enough to be in one which isn’t being assigned as quickly you may end up waiting a few minutes. One thing which I find really annoying is that you can’t really exit a room’s lobby once you have entered. However, if you are waiting a while for the room to fill up, there is a little Doodle Jump clone you can play on the GamePad which is amazingly addictive. Another thing which is rather annoying is the fact that you can’t swap out your weapons or gear while waiting in a room. So, if you play a battle with a new weapon which you can’t handle well, you have to quit Turf Wars once the battle has finished, go to the equip screen, go back to Online, and then enter a new room. One thing which I think should have been included are more matchmaking options. In Regular Turf Battles, it seems like everyone is just randomly placed in a room without considering region or level. Sometimes it can be intimidating when a level 4 player is matched against a bunch of level 20s who have more experience. Once you have reached level 10, which may take a while depending how efficient you are at inking, you unlock Ranked Battles. Instead of trying to cover as much ground with your own coloured ink, you have to try and capture zones with your own coloured ink for as long as possible, it’s sort of similar to capture the flag… but much more chaotic. The better you do, the higher your lettered rank gets, but losing will also lower your rank. Luckily you are generally placed with people who are the same, or who have a similar rank to you. I absolutely love how chaotic this mode gets, and this is where my weapon choice really shines. 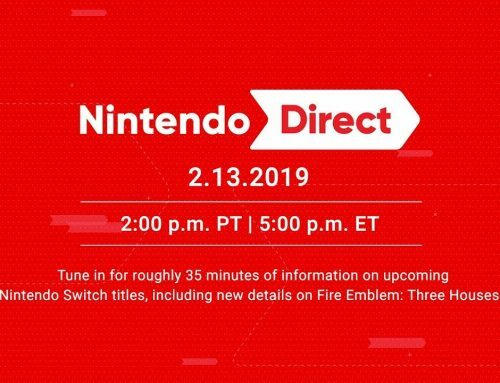 In a previous Nintendo Direct, they announced that, in future updates, even more modes will be added to Ranked Battles. One of the modes which will be introduced is Tower Control. When an Inkling takes control of a tower, the tower will slowly move towards the enemy base, once it has done so, the battle is over. This has been described as almost like tug of war but opposite… if that makes any sense at all. Another mode that will be introduced is Rainmaker, though no details have been revealed quite yet. There is part of me which is thinking that some of these modes should have launched with the game rather than after its release as, at the moment, there’s just Turf Wars and Splat Zones. About every week, Splatoon has been receiving free updates which add new weapons, gear, stages and modes. I think this is definitely a smart move as it really helps to keep the game fresh however, similar to what I said earlier about the battle modes, I feel that some of the content should have launched with the game, specifically the maps. 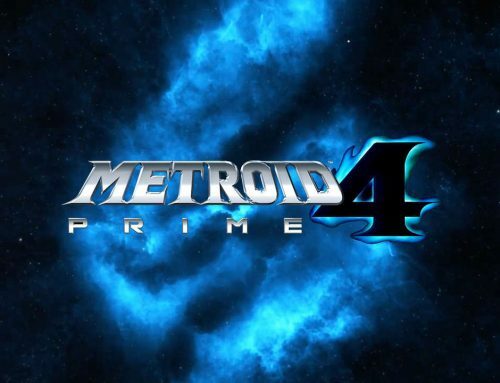 The game launched with only four different maps, where only two are playable in each mode every four hours. This just doesn’t feel like it is enough, don’t get me wrong, the maps which are available all all great fun and unique, but when you are paying about £40 for an online focused game, you should be able to have a wide range of stages to choose from from the get go. Another feature that should have been included from launch was the Friends Only Battle… or at least in my opinion it should have been. 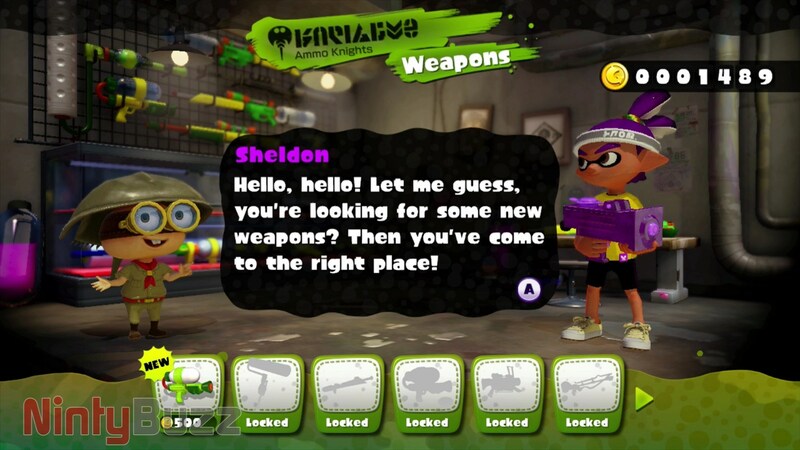 It wouldn’t be a shooter without any super awesome weapons, and Splatoon has a variety to choose from and can be purchased from Inkopolis’ gun junkie, Sheldon, assuming you are at a high enough level of course. The are three main weapon groups, the shooters, the chargers, and the rollers. Shooters are perfect for the all-round player, they cover a decent amount of ground and a decent amount of damage. Different shooters will generally vary in range, damage, firing rate and spread. Like to disconnect yourself from the middle of chaos? Then the chargers are the weapons for you. These act very similarly to sniper rifles and have extraordinary range. The longer you charge, the farther the shot will go. Did we mention that each shot leaves a trail of ink? Each charger varies in range, charge speed and damage. Finally, those who love being in the middle of the fray, and who have a little interior decorator inside them, will enjoy the rollers. Rollers give Inklings the best coverage of ink as the spread is long (unless you are using a paintbrush) and the movement is very quick. Have you been working your biceps and stomach muscles? 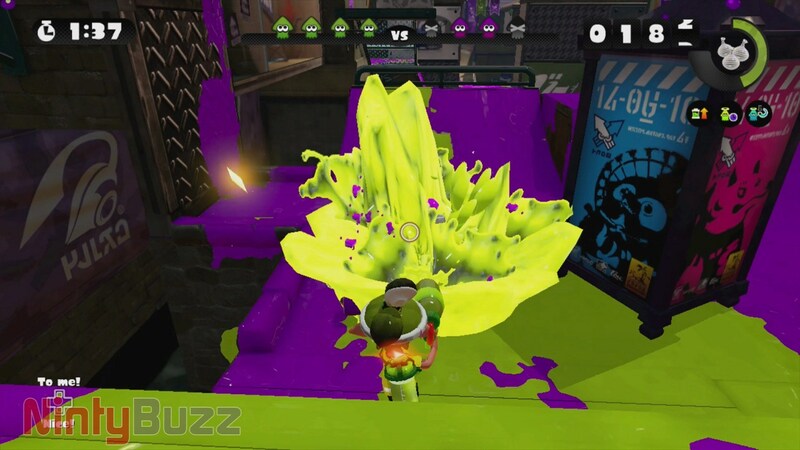 If you give a roller a flick, you can also spray your ink at a short range, which could quickly eliminate someone you are chasing. Also, if an opponent is hiding as a squid, they better get out the way, or they’ll be splatted! Rollers vary in range and speed. If that wasn’t enough, each weapon comes with both a Sub-Weapon and a Special Weapon. Sub-Weapons are support weapons which act as bombs, super jump beacons and more. Special Weapons are… well, special. These are perfect if you really want to bring out the big guns. After you have claimed enough territory with your ink, your special gauge will fill up allowing you to perform powerful actions like becoming an invincible Kraken or launching an inkstrike, depending on which weapon you have equipped. Guess what? Even THAT’S not all. There are three other boutiques of Inkopolis where you can purchase some awesome gear such as headwear, tops and sneakers. Not only will they make you look like the freshest squid kid in town, but they also grant you some nifty abilities too. Some of them are pretty general such as increasing your defence or speeding up squid movement but there are also some more unique abilities such as revealing an enemies position on the map briefly after they have killed you. Each piece of gear starts off with one ability, but the more you break in your threads, the more sub-abilities you will unlock. Some pieces of gear will have only one slot for abilities whereas others have up to three. I absolutely love the amount of variety with each of the weapons which offer different play styles. 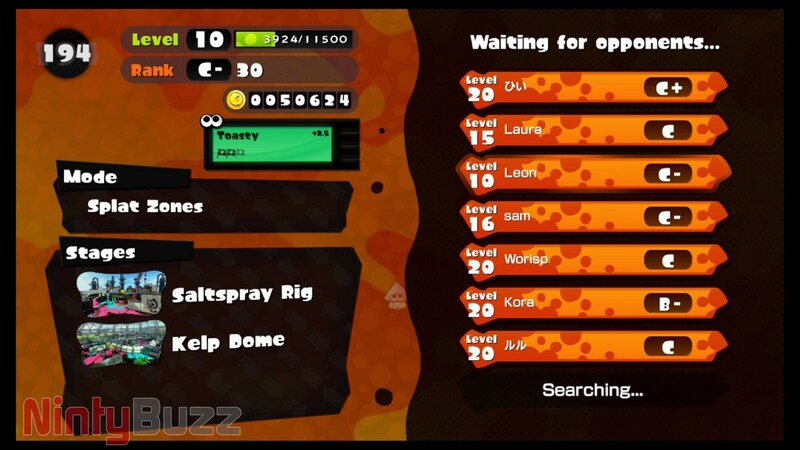 Personally my favourite is the Krak-on Splat Roller with the Spawn Beacons and the Kraken Power Up. Some people may complain that some weapons *coughsplatrollercough* may be overpowered however, after playing many hours of turf war, how powerful your weapon is all depends on how you use it. I used to get completely thrashed by the splat roller, but the first time I used it, I wasn’t doing so good with it… but now it is my favourite weapon! I have also seen many people easily bombard me with basic splatter shots, which is the weapon you start off with. For those of you who have a friend over for tea, there is also a local multiplayer mode to try out, Battle Dojo. Battle Dojo is a little different than Turf Wars. Instead of fighting each other for territory, you have to pop balloons with your ink. Every balloon popped is worth one point, and then two in the last minute. One person play on the TV using the Pro Controller or the Classic/Classic Pro Controller while the other person plays on the Wii U GamePad. Once someone has reached the score threshold, or once the time has run out, the battle ends and the winner is announced. Currently there are 8 weapons and 5 stages to choose from in Battle Dojo, which is fair amount of content for the mode. This mode works quite well and I haven’t seen any performance problems, and it can be quite fun for a while. My only problem is that you can not customise the rules at all which is a bit of a shame. 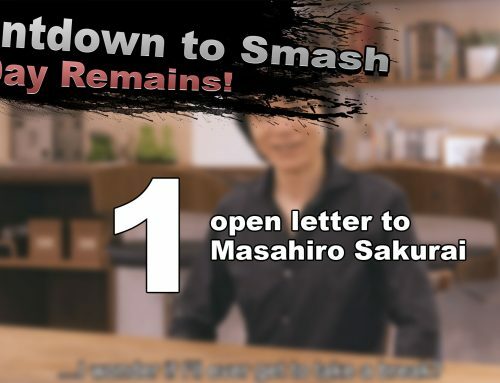 It is also meant for two players only. 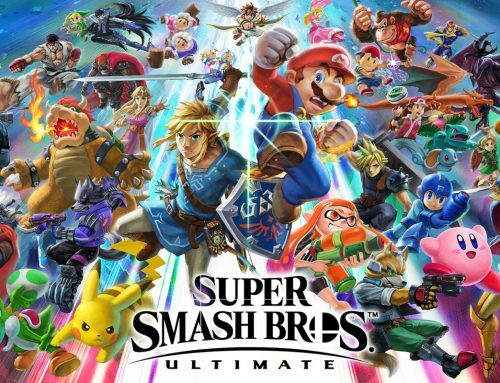 I would love it if Nintendo could add a mode where it could be there against one, there could be some great potential with that and it would mean that no one would feel left out if you had three friends over! For a game where the main focus is on the online multiplayer, Splatoon hosts an absolutely brilliant single player mode for those who want a little practise of techniques or who are wanting a bit more variety in gameplay. The story is pretty simple, the Inklings’ arch enemy, the Octarians, have stolen the many Zapfish that power Inkopolis, as well as the Great Zapfish and it is your job to raid the sub-suburban Octo Valley to get them back. 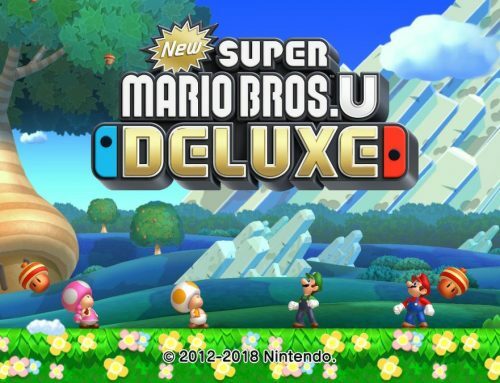 The gameplay has definitely taken some inspiration from the Mario games, though on a smaller scale. Think of it as a 3D Mario game with paint guns. I am absolutely in love with the suburban theming of the levels. The mode also takes full advantage of ink, shoot ink, attack with ink and hide in ink. There are enemies with shooters, enemies with chargers, enemies that try to gumption you and more. There are some very neat contraptions to use to. There are sponges which expand when you shoot them but shrink when enemies shoot them, there are rails you can ride at full speed which allow you to jump super high. There are many more, but you will just have to find out for yourselves. There are some stages which have slightly unusual conditions. It seems that some stages have a special Octarian that has obtained the ability to send inkstrikes. He/she oversees your progress, and if you stay out in the open for to long, it will send an inkstrike your way. You may also encounter some Octolings in certain stages. Octolings are the same as Inklings but are super evil… and have more tentacles. These tend to take place one slightly modified versions of stages played on in Turf Wars. There are some very unique bosses in Octo Valley too, especially the final boss. For example, the first boss is a giant robotic cube who will run towards you and try to squish you. You have to try and figure out a way to climb on top of it and give it the what for! If you love to explore every part of a level, you may be happy to know that there is one Sunken Scroll in each level to find, and some of them are in very tricky or hard to find places. What are these Sunken Scrolls I hear you ask? They are nifty little pages which explain some of the history of the world of Splatoon. Like I said earlier, I absolutely love the story mode, however I do feel like it is on the short side. In total, there are roughly 30 levels to play, which only take a few hours to get through. Also, other than the lore, there isn’t really any point to collecting the Sunken Scrolls. I would have also enjoyed it more if there were more to explore in the hub world and the individual stages, like little secrets or bonus stages… but that’s just me. There is still a bit of good news for collectors though. 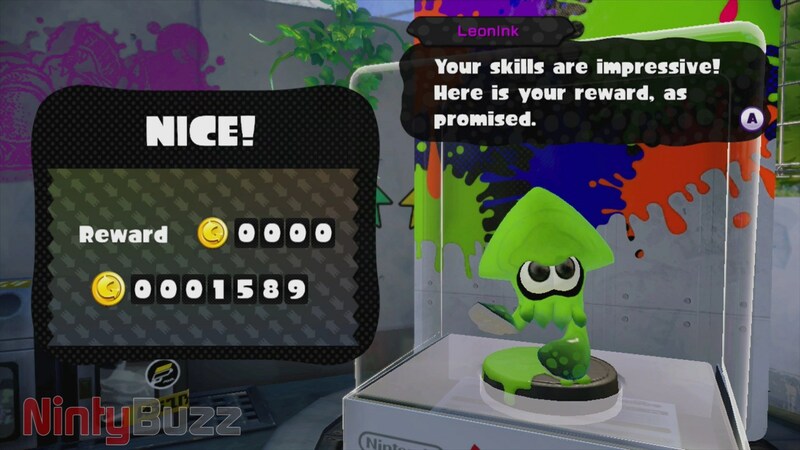 If you own any of the Splatoon Series Amiibo, then you can play some special challenges. These challenges place you in a level from the single player mode but include some rules to abide by. Some will put you in the level with a charger rather than a shooter. Other challenges may limit how much ink you can shoot, if you run out, you fail, and trust me, these prove to be quite the challenge! Plus, if you do particularly well, you may be rewarded with some exclusive gear! Splatoon is definitely a pretty game, especially with the various combinations of coloured ink, and I think that the visuals are quite detailed. You can see the light reflections on the ink and the ripples you make when running or swimming through it. What is pretty neat is the it pretty much continues even when playing online matches, with very little problems. Finally, what really gives Splatoon its charm are the characters themselves. The Inklings aren’t only interested in battling, but also just have to follow the latest fashion trends. 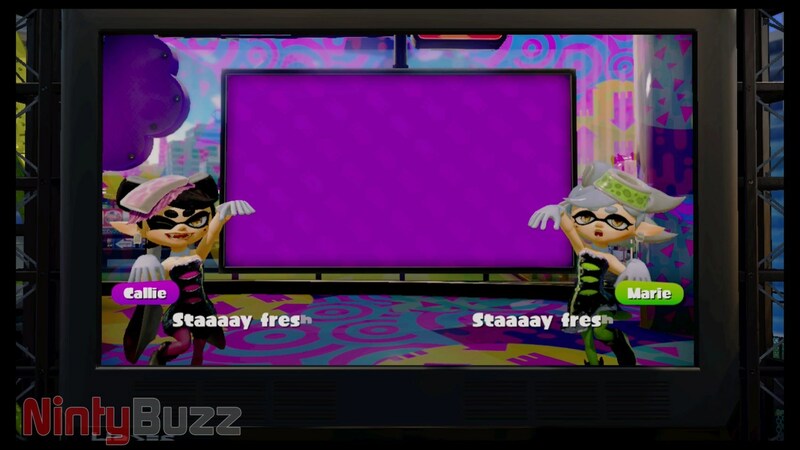 Whenever the game is booted up you are greeted by the charismatic pop duo, the Squid Sisters, to introduce the stages which are available to play for the next four hours… you better enjoy their company though, as their meetings are un-ditchable and un-skippable. The Octarians themselves have some great character too and often get excited to see you and to splat you! 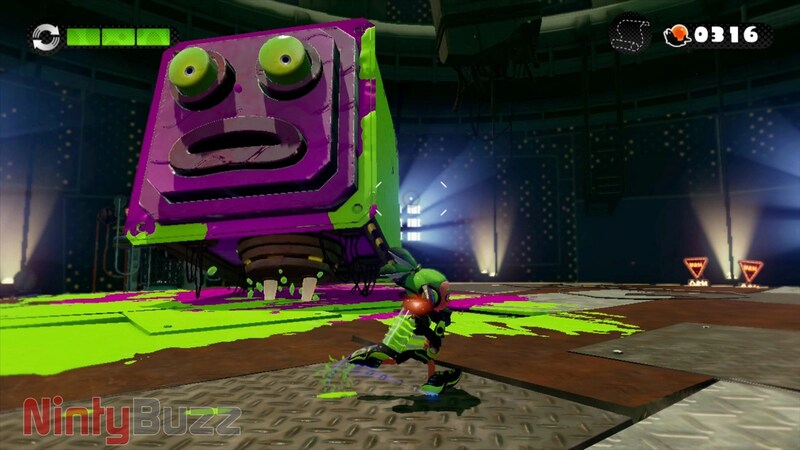 Overall, Splatoon is a brilliant game and a fresh entry into the shooter genre. The online is mostly flawless, the content is so much fun, the single player mode is very unique, the visuals are great, and the characters add that bit extra charm. What stops Splatoon from being completely perfect are mostly small niggles such as content which feels like it should have been included from launch and issues regarding matchmaking, however, other than those negative points Splatoon is a pretty solid game and I’d recommend it to anybody… or at least anybody who has an internet connection! Have you had the chance to try out Splatoon yet? What do you think of the title? Tell us in the comments below! 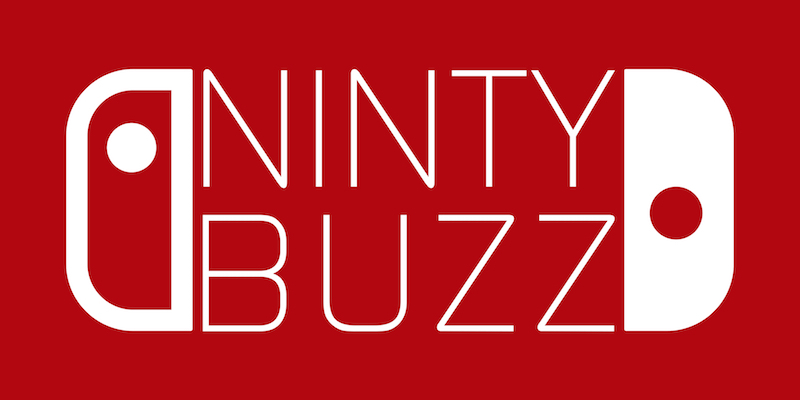 Purchasing from the following links supports NintyBuzz!